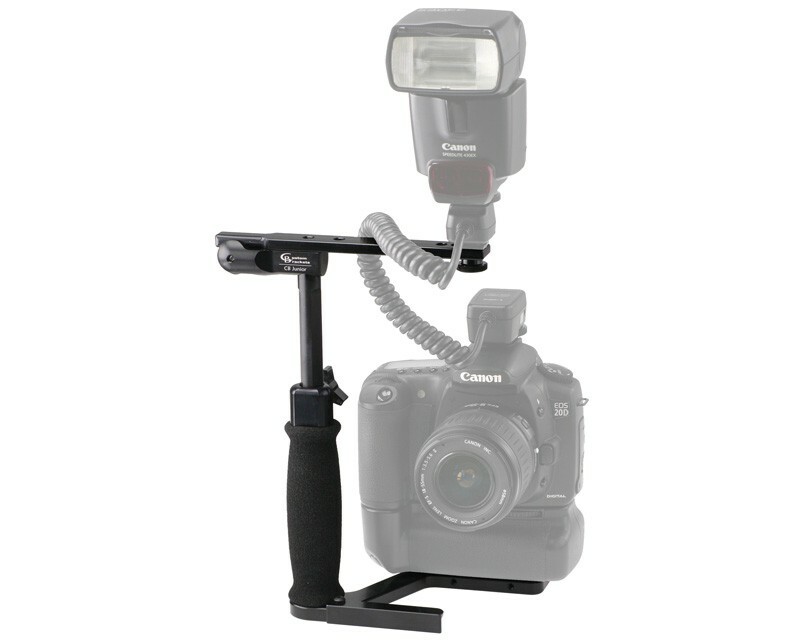 The CB Junior Kit was designed for those that want to use a compact and lightweight flash rotation bracket but still want to retain the ability to operate all camera and flash functions. The bracket allows the camera itself to be gripped, rather than the bracket. The CB Junior features an adjustable, pivoting flash arm that keeps the flash centred over the lens for both horizontal and vertical photography.